Nearly 200 parents, peers, teachers, and friends gathered at Douglass Academy to watch CDS and CCS middle schools compete in this inaugural event. 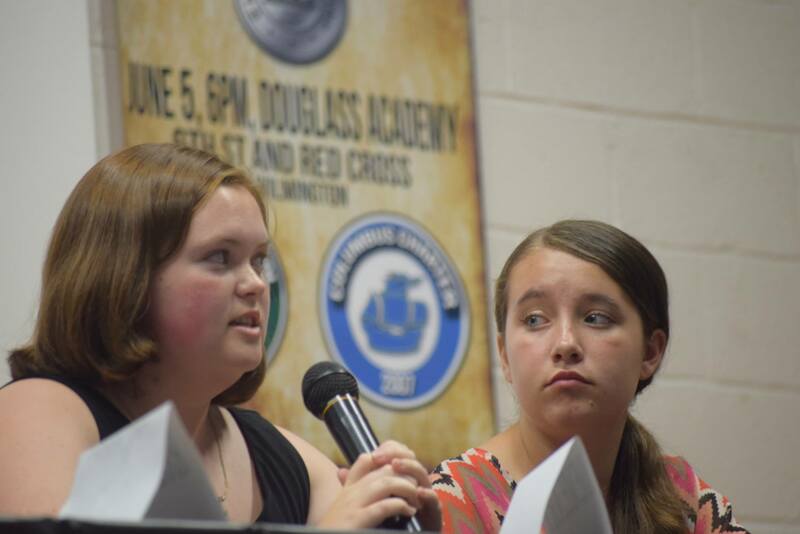 Wilmington— Middle school students from Leland’s Charter Day School and Whiteville’s Columbus Charter School faced off this weekend in an academic competition that tested their knowledge of World History from 410 AD to the present. The competing “sister” schools are each the highest-scoring in their respective counties on End-of-Grade tests. The schools represent two of the four identical public charter schools in The Roger Bacon Academy, Inc. (RBA) network. 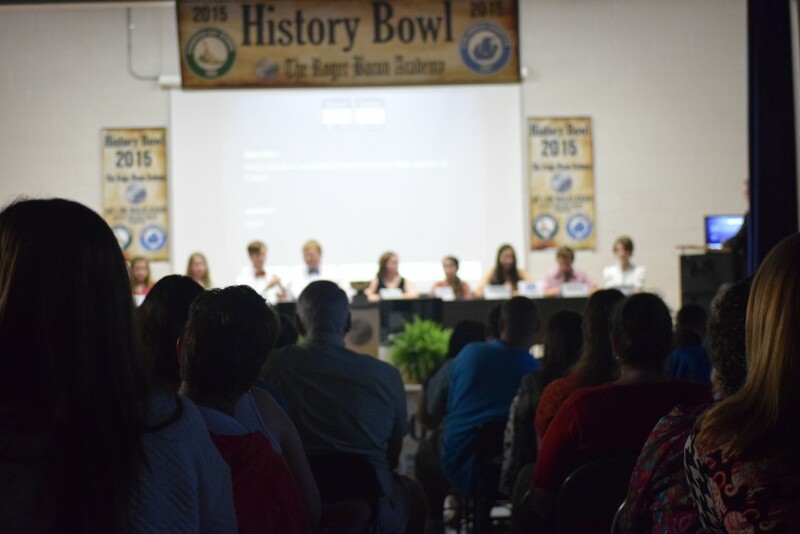 RBA created its Classical History Bowl to both test and showcas e the history-based classical curriculum implemented at each of its network schools. While public charter schools are open-enrollment and tuition free just as district schools are, they accept less public funding in exchange for, among other things, the ability to choose alternative curricula instead of state-mandated programs. Student competitors in grades 6-8 began studying for the event in November to master the expansive scope of material, eventually learning to recall more than 500 nuanced and diverse facts. In competition, 5-person teams from each grade level represented their home school in three, 20-question rounds. With an audience of nearly 200 parents, teachers, and peers, students answered questions individually to contribute to their team’s score. Winning teams at this year’s debut event were Columbus Charter School’s 6th grade, Charter Day School’s 7th grade, and Charter Day School’s 8th grade. 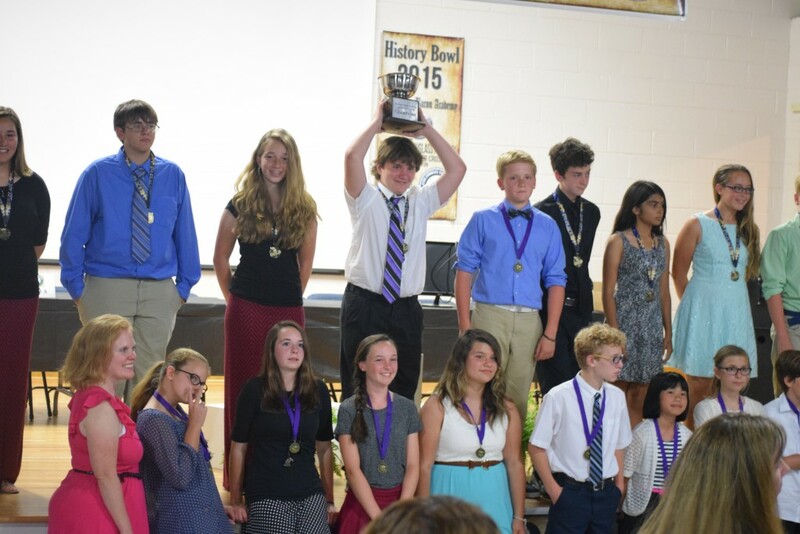 CDS 6th, 7th, and 8th grade teams achieved the highest cumulative score to win the first-ever RBA Classical History Bowl. By calculating each school’s cumulative score, Charter Day School was named the first RBA Classical History Bowl Champion. The school received a large trophy which will travel each year to the winning campus.